Sometimes when I'm in the thick of pre-production on a new television advertising spot, I'm tempted to put all of my emphasis on the obvious questions: Who will be the cinematographer? What camera system will we use? What casting decisions need to be made? Who the hell can convert my scribbles into a real storyboard? There's a step often left out of the above question process, but one that, as a Director or Producer, does have a significant effect on your picture. In fact, this step is the first point of contact between the enigma of a performance and the camera. If you guessed the missing question is, "What lens is the best choice for my cinematic production?" Congratulations! You're already a step ahead of where I find myself in the above pre-production scenario! But the first question was just a warmup, a confidence builder to keep you happily reading onward. Now the question for which I have a hard time finding a solid, comprehensive guide: "How do you know what lens package helps you best tell a particular type of story?" My name is Jeremy Pinckert, and I'm a Director based in the Chicago market. I deal with this question on every production, and while I've been able to use many of the professional lens packages over the years, I consistently find I don't have a handy, comprehensive lens guide to help narrow down my choices. Together with some industry friends, we've put together a guide to help combat this problem. One which can help you both see, and read, about the differences in lens packages in the aesthetic, non-technical perspective where most Directors or Producers reside. Daufenbach Camera, Production Company Explore Media, Cinematographer Jamieson Mulholland, Producer Dave Wingate, Camera Assistant John Waterman, Editor Michael Dicken, Colorist Kelly Armstrong and I all collaborated to put together this unofficial professional digital lens comparison guide for Directors. Where we'll start is with some indisputable video comparisons: this first video features camera & lens details from projects I've directed over the past 3-4 years. You'll see the camera system and the optics package displayed as a super on-screen in this first cine lens visual exercise. Now that you've seen a sampling of some different cameras and lens systems in real-life application, let's get into the digital video lens comparison. This is not meant to be a technical specifications comparison. Mostly because I don't know the technical answers! But I can see how a lens displays an image, and how this makes me feel as a Director (and consequently as a Viewer), especially when different cinema lenses are compared side by side. 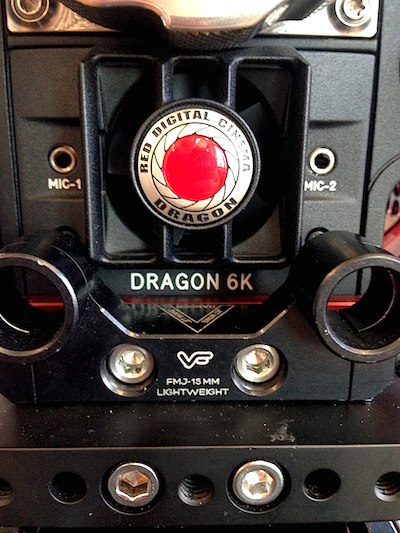 For all of the different optics solutions, we used Daufenbach's Epic-M RED Dragon 6K sensor (captured in 5K) to capture the image. We also used 50mm as our base focal length, in both zooms and primes, and for the one lens where a 50mm wasn't available, we used a 35mm. You'll see lens comparisons between Angenieux, Cooke, Zeiss, ARRI Fujinon, RED Pro and Canon CN-E Prime lens offerings. After watching, read what "Stephen Says" about each lens, featuring comments from Stephen Wheeler, resident lens expert at Chicago's Daufenbach Camera rental company. NOTE: For color-correction, we wanted to deliver a baseline correction in order to truly compare lens characteristics. Colorist Kelly Armstrong from Color Playground set it up this way, "we chose the most "color neutral" lens to set our initial, "base" grade to, the RED Pro Prime. Primarily using the supplied chip chart, gain levels were kept under peak 100 and pedestal was left well above 0 so any anomalies with how each lens handled shadows or highlights could be easily seen and compared. This base correction was applied to each image regardless of which lens was used." SECOND NOTE: The YouTube video below is compressed from a 5K 4:4:4 file down to an H264 1080p 4:2:2 file. To see the 4K version on YouTube click here. To download the RED Dragon 4K file to view on your UltraHD monitor or editing system, click here to download the full 3GB file. A Vimeo 4K version is also available to view and download. There is a ProRes 4:4:4 file in 1080p available for download if you really want to compare color space, give me a shout. The file is around 10GB so be prepared! ANGENIUEX LENS REVIEW & COMPARISON As you could probably figure out, we love the Angenieux 45-120mm. So much so, we used it as our baseline to compare the other lens packages, and we also just used it on three Financial Commercials you saw on the recent project reel. Stephen Says - "Angenieux Zooms have a clean sharp look with natural feeling contrast. The older ones (Optimo DP zooms and 24-290mm) can be a bit warm, but I feel the newer ones are pretty color neutral. COOKE LENS REVIEW & COMPARISON We didn't get to test all the Cooke Lens Packages as they were out on jobs, but overall the "Cooke Look" is one of the most consistent, tried and true lens system on the market. Stephen Says, "Cooke S4/i's are known for there low contrast warm look with a more natural felling focus fall off. The Cooke Mini S4/i feature the same qualities as the regular S4/i but are 1-stop slower, smaller, and lighter. Cooke S5's are similar to the regular Cooke S4/i's but with a slightly more contrasty cooler look to them. The Cooke Speed Panchros are one of the desired vintage lenses in the production market. These lenses are known for their warm, soft low contrast look. All Cookes share whats referred to as the "Cooke Look." This means a warm, low-contrast, slightly soft image with a nice focus fall off. These really are beautiful lenses and are especially great on skin tones and facial close-up scenes. Cookes usually soften skin blemishes and can be very forgiving for older talent." ZEISS LENS REVIEW & COMPARISON Stephen Says, "Zeiss Super Speeds are usually mid-range in their contrast and are low-resolving lenses. The focus fall off is pretty hard. As a note though the first generation of Super Speeds the MKI's are considered a vintage lens with it's own some-what gritty look. Ultra-Primes feature more sharp and contrasty qualities. They have been described as a "cooler lens." Zeiss Master-Primes are similar to Ultra-Primes but are a faster lens and also are slightly more contrasty. The CP.2's are a warm, flat-looking lenses, personally I don't think they handle flares well. We often see Directors & Producers choose these for price and mechanics over actual look. RED PRO PRIME LENS REVIEW & COMPARISON I'm not sure how committed RED are to the future development of their RED Pro Prime Lenses, but there is something to say about a company who is manufacturing lenses specifically to compliment the 4K and above digital cinema cameras. Stephen Says, "RED Primes deliver a sharp, contrasty image. These lenses are very clean. ARRI/FUJINON ALURA ZOOM LENS REVIEW & COMPARISON The attraction to the ARRI zoom lenses are their comparable optics featured in a smaller size and lighter weight. Stephen Says, "The Fujinon ARRI Aluras are fairly sharp zoom lenses, but are a bit more contrasty then Angunieux's zooms. CANON CN-E PRIME CINEMA LENS REVIEW & COMPARISON (NOT SEEN IN VIDEO) The Canon Cinema Primes are a welcome lens on the affordable side for cinematographers who have been using Canon L-Series Still Primes in for their videos. Stephen Says, "The Canon Cinema Primes and Zooms are also sharp lenses that feel fairly color neutral and have a natural feel to their contrast." To round out this digital video lens guide review for directors, I hope you've been able to actually see some nuances between lenses which can help you when planning your next film, television commercial production, or branded web video project. The hope is you'll now have more information in pre-production to find which lens is best for your particular broll scenes, which lens will communicate the particular mood or tone you want to emote in a narrative spot, which optics solution works great to feature one person popping off the screen, or which lens package works best for product and activity shots. Stay-tuned for another valuable lens test for directors & cinematographers: testing the lenses outside in landscape scenarios, architecture broll, motion-oriented scenes, and perhaps testing for the biggest variable of all: lens flares. If a busy shoot season allows, we also would like to add anamorphic lenses to this comparison. Until then keep producing, directing, and capturing amazing visual images and remember: great glass can make all the difference! Jeremy Pinckert is a Chicago Director of TV Ads, Campaigns, Web Videos and Branded Content. His work for Commercial Production Company Explore Media has won Tellys, Best in Show ADDYs, and an Emmy Award. You can follow him on Twitter @jeremypinckert, see him on LinkedIN, and check out his video portfolio reel.